A young leader emerges from tragedy. Still not much ado about the island. 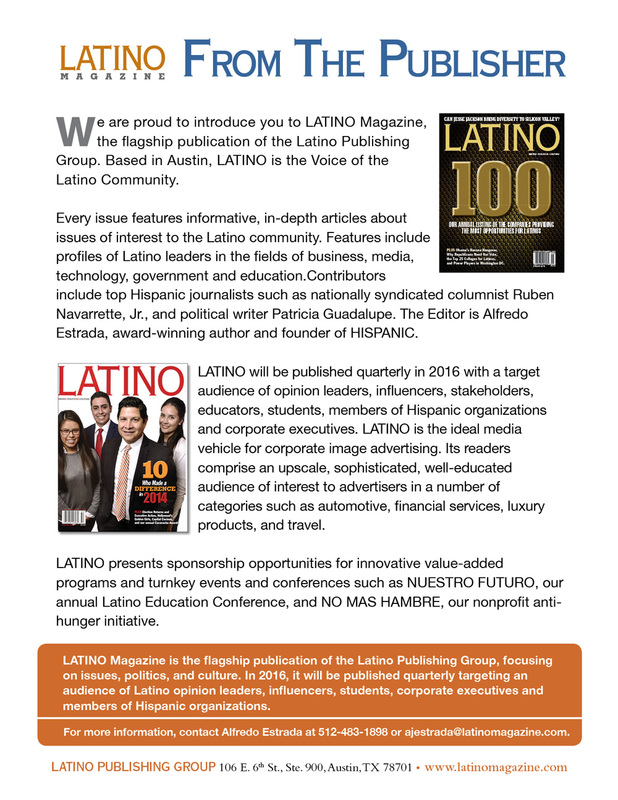 Our listing of Latino events for 2018.
Who made our annual listing of the companies providing the most opportunities for Latinos? We looked at areas such as support for education, philanthropy, diversity and minority vendor programs. Despite a surging economy, some are missing in action. Hollywood’s top talent agencies have no trouble finding Latino talent, and Oscar is no longer so white. But it’s a different story within their own ranks. Hurricane Maria hit several months ago but Puerto Rico is far from recovered. Is it because of storm damage or politics? Here’s a progress report on both fronts. Kristie Gonzales is a media mogul in the making. Now she’s taking Texas by storm. Morgan Stanley leads the pack for inclusion on Wall Street. Here we profile several Latinos at the prestigious financial firm. Emprendedoras, or Latina entrepreneurs, are leading the way. Plus, a groundbreaking new study by Stanford on closing the opportunity gap. Brazilian Jiu Jitsu is the fastest growing martial art in the country. And it’s an old man’s game.